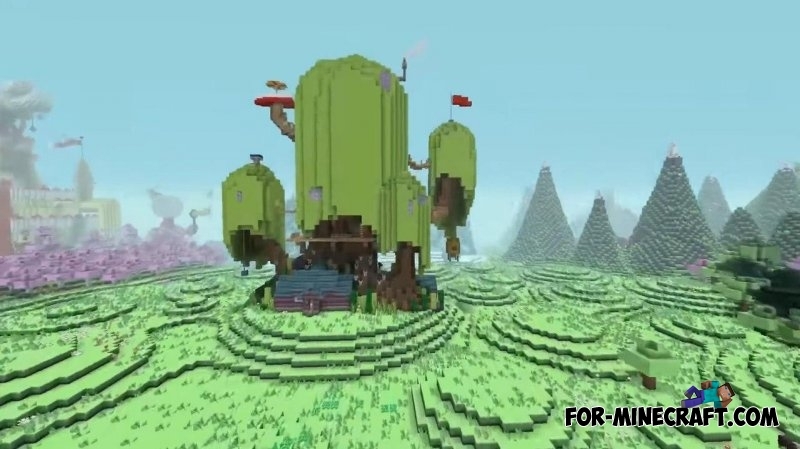 Mojang has released a trailer for a new mashup pack where you can explore the whole world based on the popular Adventure Time animated series. To begin with, the trailer is made very cool and it shows some features that we will see very soon. A special resource pack will be available to you, as well as new skins of your favorite characters. Tree Fort - one of the locations. While it is not known how extensive the locations will be but judging by the recent grandiose Fallout pack, we should expect really cool content! Halo Mashup Pack for Minecraft PE 0.14.0New terrible and tough mobs, completely redrawn interface and pleasant colors. Fallout PE map v0.4 for Minecraft PE 0.13.0I present to you a great map for Minecraft Pocket Edition 0.13.0, which is based on the popular post-apocalyptic game - «Fallout».